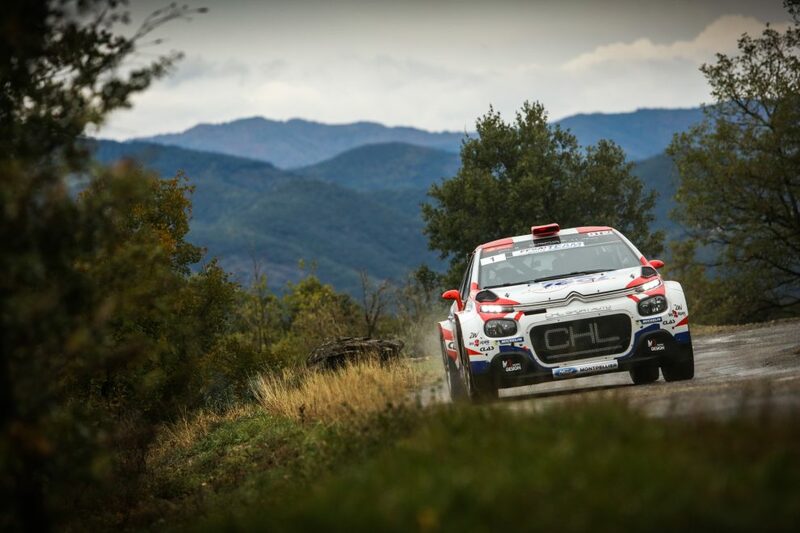 Last weekend’s Rallye du Var, the final round of the French rally championship, saw not only the largest contingent of C3 R5s competing at an event thus far – with seven crews entered – but it also promised to provide a fitting climax to the car’s debut season. Once again, the C3 R5 lived up to expectations. Thanks to a brilliant drive from Yoann Bonato alongside co-driver Benjamin Boulloud, Citroën’s new flagship model took victory despite the conditions, made very tricky by the weather, and a large field of highly competitive cars (30 R5s entered). The trio, having wrapped up the French rally championship title at the Rallye des Cévennes, secured its fifth win of the year following victories claimed at Lyon-Charbonnières, Mont-Blanc, Cœur de France and Cévennes, further enhancing the car’s reputation for producing very high performance levels, regardless of the road surface or type of stages. A fine overall performance for Citroën Racing’s new flagship product was completed in the Massif des Maures by Laurent Pellier and Geoffrey Combe, who finished in third place despite it being their first appearance in the C3 R5 on tarmac. Easy to get to grips with, the C3 R5 has also shown its versatility and competitiveness this year in the extremely demanding WRC2 class, with three podium finishes, claimed on both tarmac and gravel (2nd in Corsica with Yoann Bonato on his first official outing, 3rd in Portugal with Stéphane Lefebvre and 2nd in Turkey with Simone Tempestini). It has equally racked up stage wins on a wide variety of road surfaces, including Corsica, Portugal, Sardinia, Germany and Turkey. The car has constantly improved throughout its debut season, in light of the substantial feedback reported to Citroën’s technical teams by the crews. In addition to Yoann Bonato, several other drivers have contributed to the car’s success this year. Starting with Stéphane Lefebvre, who produced a masterful display in winning recently in Belgium at the Rallye du Condroz. However, José Pedro Fontes and Simone Tempestini have also made vital contributions, the former winning the Rallye Amarante Baião in Portugal, whilst the latter prevailed at the Cotnari Rally Iaşi in Romania. Designed to be affordable and suited to all types of crew, the C3 R5 has equally been a hit with amateurs, as witnessed by the brilliant second place secured by Guillaume Sirot (just 2.4s behind the winner!) at the finale of the French Rally Cup, which rewards the top competitors in the series.